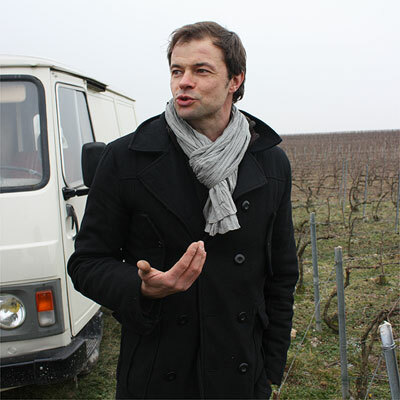 As a kid, Emmanuel Brochet already knew that when he would grow up and the rent of his family's vineyard would come to an end, he would be the Brochet to once again gain control over the vines, the 2,5 ha patch of Villers-Aux-Nœuds premier cru. Finally in 1997, after Emmanuel finished his studies, the family land became available to him. Villers-Aux-Nœuds is a tiny, sleepy village at the very north rim of the Montagne-de-Reims. Its small, dispersed patches of vines aren't part of the unbroken carpet of vineyards that you find on the northern slope of the Montagne. No, the first time you come here you will really have to look for the vines. At the time the classification was drawn up, this northern part of Champagne was more famous than today and Villers-Aux-Nœuds became a 'premier cru' village — this was also because of its proximity to important customers in the city of Reims. 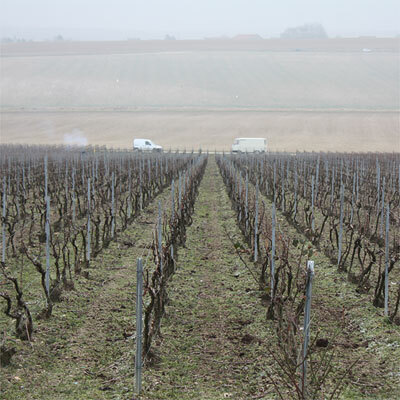 In the end, Reims was also one the reasons for the decline of this part of Champagne: there was a long period when it was more profitable to sell vegetables to the nearby city. Many vines were uprooted in those days. What is left today are the two best patches, two hills actually: a small one touching the little village, and a larger one, the south-east facing "Mont Benoit". Part of this 'Mont' belongs to Brochet. He works organically, and in a few rows he also experiments with biodynamical farming. His first vintage sold under his own name is 2003. Many producers have their own Leitmotiv, it seems. 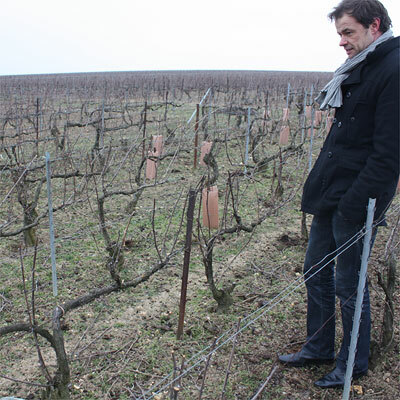 Emmanuel’s theme is pleasure: he wants to work in the vineyards, and in the cellar with pleasure. For him that basically means that he works in a fully artisanal and small-scale manner. Winemaking for him can never be something big and mechanical. 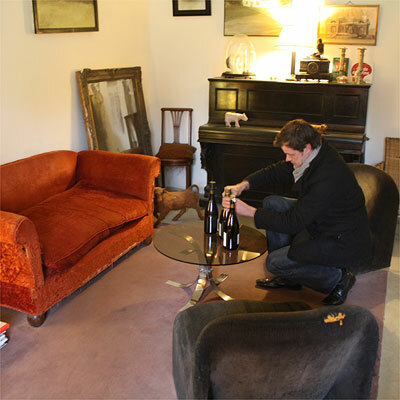 Brochet wants to pay attention to every detail in the production of his Champagnes. 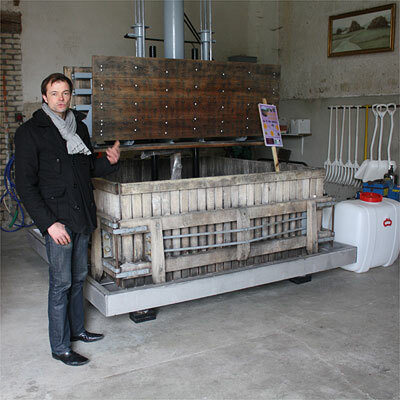 Brochet uses a quite old-fashioned press in which he works with small amounts of grapes which are gently pressed - on the same day that they were picked. As Brochet searches for purity, the must is not chaptalised. 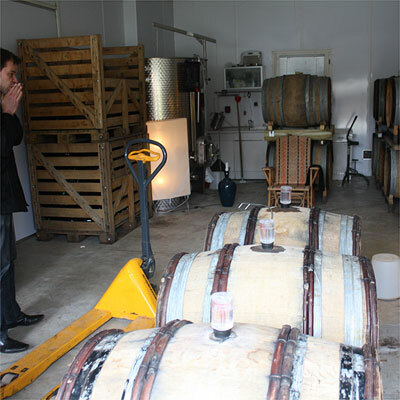 Barrel fermentation is naturally followed by the maturation of the base wine (5% new oak). 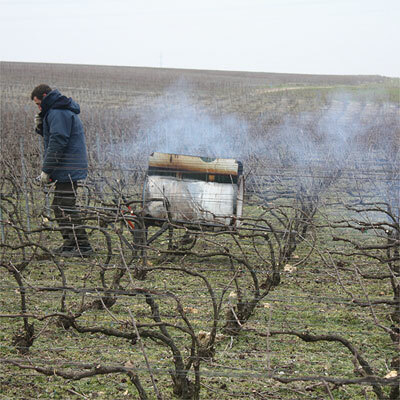 For part of the barrels Brochet blocks the malo (malolactic fermentation) to maintain freshness in the wine. But when nature decides that malo will take place next spring, this process isn't blocked at any cost. Filtering and fining are not applied, all matière will travel along into the bottle for the second fermentation and the - more or less - three years of bottle maturation afterwards. 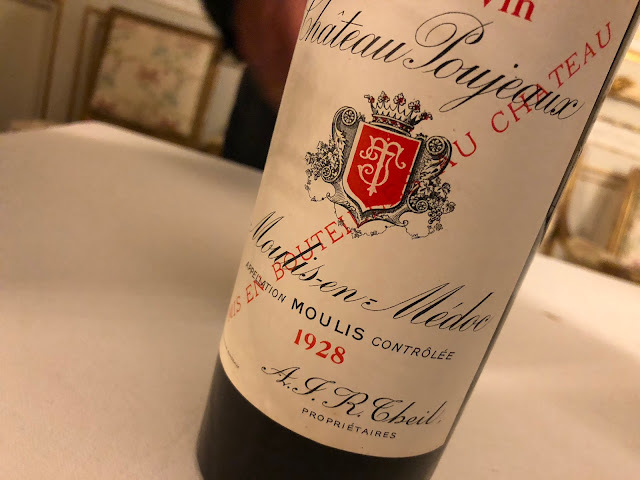 As I wrote in my last posting, the proof of the wine is in the tasting and to be honest, I have hardly felt so much impatience during a domain visit... But there was no time pressure, there was no next visit. So we could truly perch down and taste. 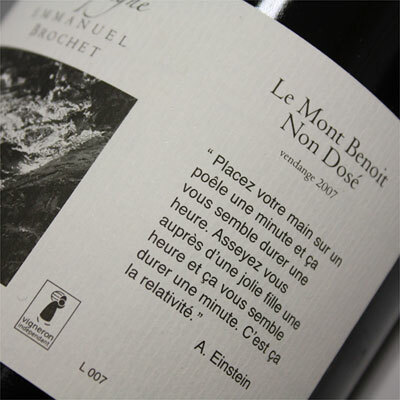 Champagne Emmanuel Brochet "Le Mont Benoit" Premier Cru Non Dosé. 50% Pinot Meunier, 25% Pinot Noir, 25% Chardonnay. Production about 2.000 bottles. This is a natural beauty. Very gentle mousse, pure and refreshing. There's nothing between you and the Champagne. Nothing artificial, and nothing else either. Minerality, tension, salinity. Vibrant and energetic. And a long, electrifying finish. Brilliant in its simplicity. I think this is a wine to dig, or to not understand at all. 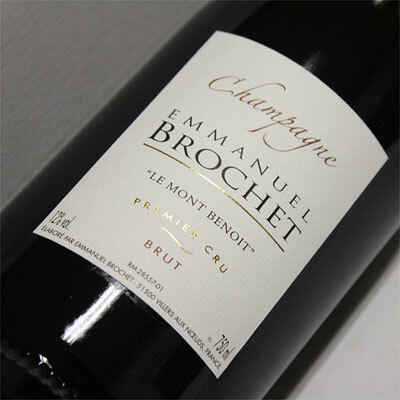 Champagne Emmanuel Brochet "Le Mont Benoit" Brut Premier Cru. 50% Pinot Meunier, 25% Pinot Noir, 25% Chardonnay. Production about 5.000 bottles. The sweet (and irresistible) sister of the Non Dosé. Just 4 grams of sugar, which is really modest, but it makes a big difference. Not so much in the overall character of the wine; she clearly belongs to the same family. But this is friendlier and smoother. Soft in the mouth, gentle, more round. The Non Dosé is a wine to drink among Champagne freaks, and the Brut (which is actually an Extra Brut) can be enjoyed with anyone else who can truly appreciate a rare piece of true nature. Brochet's products aren't easy to find. The Netherlands for example, existed without its presence. That is, until now. As from today the wines are offered in Amsterdam as well. And that's good news for all local Champagne devotees.